I've been wanting to build one for yeeeeears! A few extra LED strips to make the case light up. A really old surround sound system. I also have 2 Philips Hue white/color LED bulbs set to rotate through colors depending on the lighting theme of my keyboard/mouse. 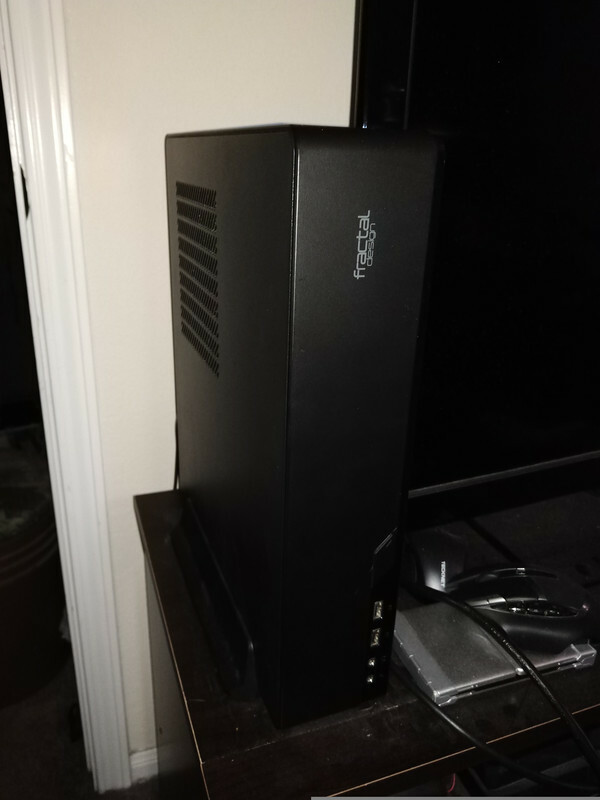 Has anyone else built a PC and want to share spec/pics? 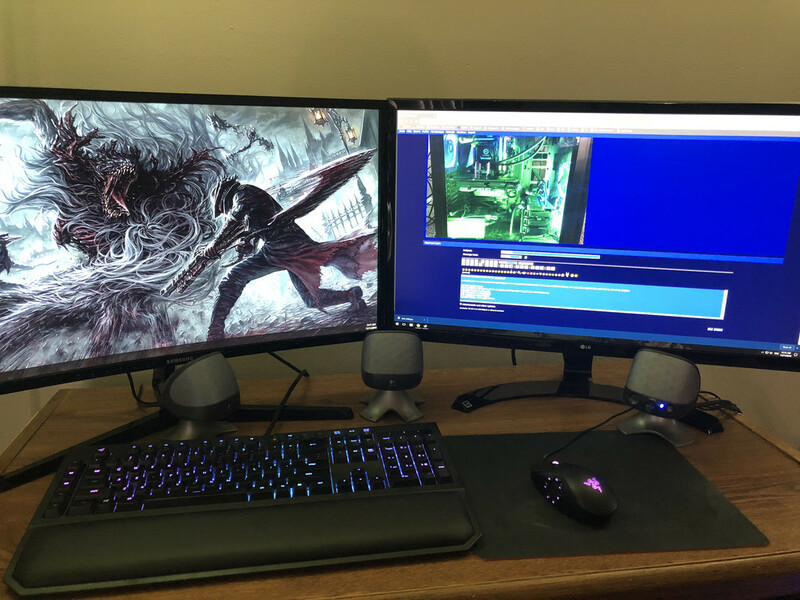 Re: I built a PC! Looking, good. 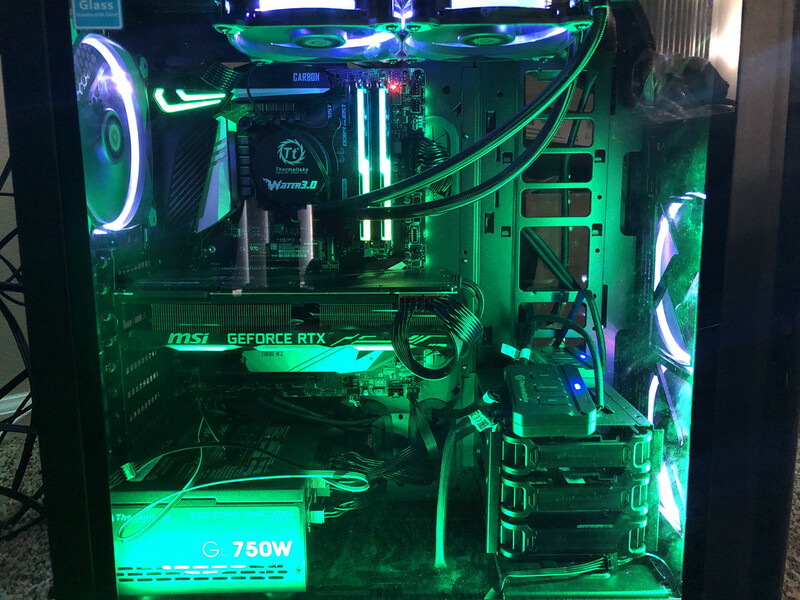 I've never really understood the point of having a transparent case or lighting it up, several of my friends have done that and flaunt them if we get together for LANs. Mine is a couple of years old but I'll let you know when I make a new one. A standing improvement that I keep procrastinating is a new display, I mean jesus this one has a VGA outlet. Also congrats on the settling down part. Why wasn't I invited? And the machine looks killer! Somebody sprung for the 2080ti, nice. My 1080ti is fine (for now), so I'm not too tempted to drop $1.5k on one. The setup looks nice, but it could look better if you go in there with some zip-ties and clean up your cable management a little. 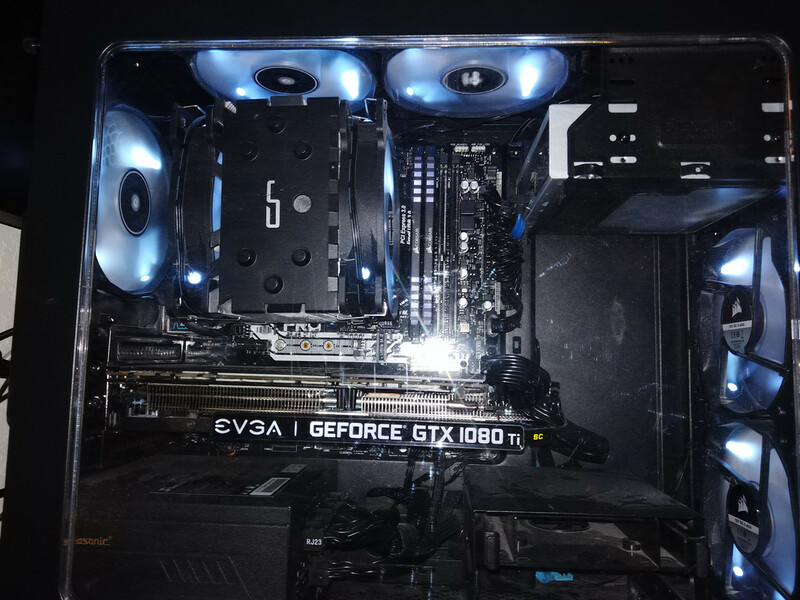 It's not as bad as my last build, but there are a few loose wires that kind of mar the presentation. And I'm planning a new small-form build to replace this guy. 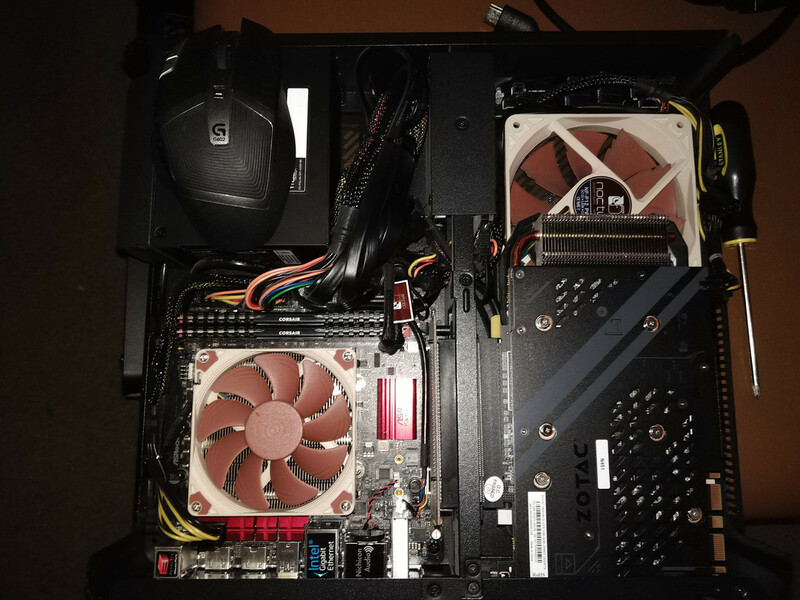 EDIT: I realized after the fact that posting a picture of a small-form PC without showing off the interior undersells the impact of such a machine. Here's a picture (mouse on the PSU for scale).